The wrong metal plates may have been inserted into patients who have broken bones, the NHS has admitted. 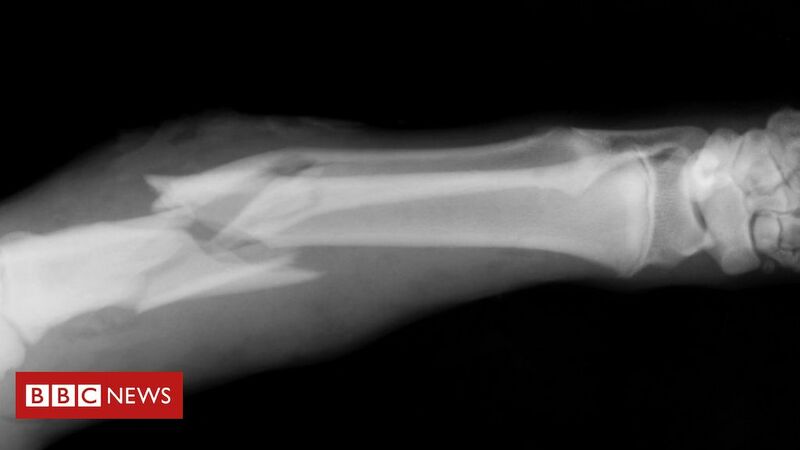 Hospitals have been asked to review the X-rays of patients treated with metal plates for the fracture of long bones, such as arms and legs, in the past year. Patients at one trust had a flexible plate meant for reconstruction inserted instead of a rigid one for fractures. NHS Improvement fears the same mistake could have been made elsewhere. There was nothing at the moment to suggest that had happened, the regulator said. But as the mistake came about because the design of the flexible reconstruction plate was changed, meaning it looked like the more rigid plates, there is a fear it could have been repeated at other hospitals. The unnamed trust where it has happened has identified seven cases. One of the patients had fallen and the plate had buckled. They had to undergo further surgery to correct the problem. Another patient needed more surgery after their plate failed when they were having post-op physiotherapy. NHS Improvement is now asking hospitals to review cases going back to February 2018. The redesign of the plates happened before that, but any cases longer than a year ago would have fully healed by now. That is likely to mean about 5,500 cases being checked. Anyone affected will be notified by their hospital.